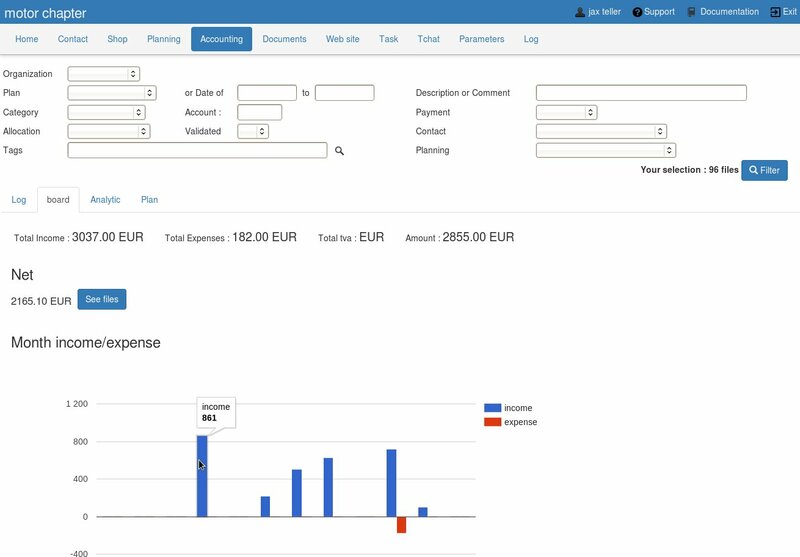 Our management software allows you to manage the accounting of your association. To facilitate the accounting we provide a simple accounting, not double entry . Our solution allows you to get out of the shackles of traditional accounting software, no tedious setup , no static journals and no obligation of incomprehensible code ! In our solution, the accounting plan is already set and the accounting journal has a powerful filter to refine the information you want to view. Example : all movements on the account 025 . Note that you can manually create your operations, but you can also enjoy the creations automatic operations when you use the cart of the contact. If you add a payment in the file of a member , the income operation will be automatically created in accounting.